Fixed blade knives feature a solid piece of steel that is anchored to a handle. There are a variety of blade steel options, handle materials, blade edges, blade points, and tangs available. A pocketknife is a foldable knife with one or more blades that fit inside the handle that can still fit in a pocket. A typical blade length is 5 to 15 centimeters (2 to 6 in). 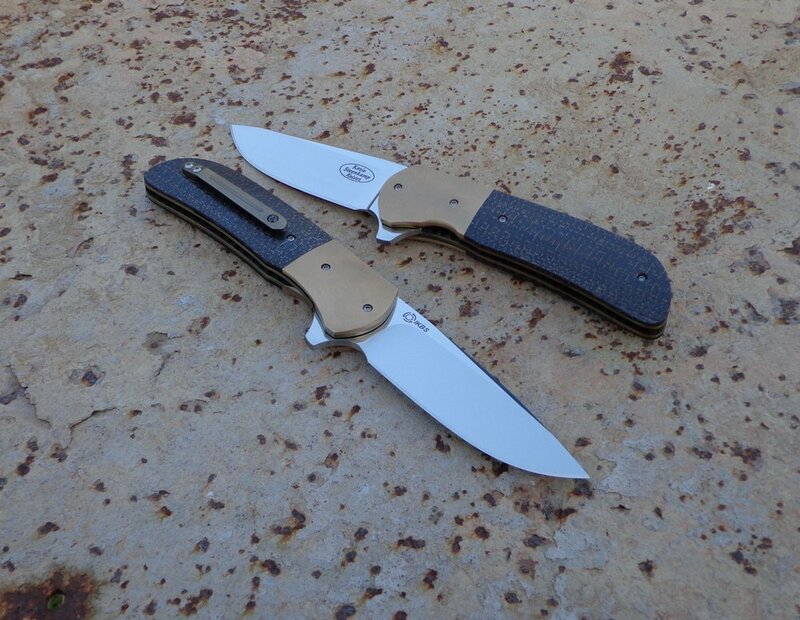 Flipper knives offer another way to smoothly and rapidly open manual folding knives. The flipper is normally located on the spine of the knife as part of the blade. The blade is deployed by using the index finger to pull back on it. This not only keeps your hands at a safe distance from the blade, but gives you an added finger guard once opened. The flipper in most cases will actually swing around and end up underneath the knife continuing to offer protection from accidental knife injuries. If you are concerned with the saftey of your thumb, a flipper knife will be more to your liking. Kosie Steenkamp is a South African knife maker who creates knives of the highest quality. Just listed a Bee-you-tiful hunter I picked off Kosie’s Table at Blade.